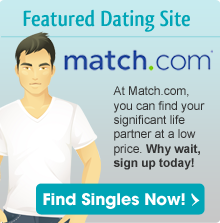 Gaydating.com is one of the new dating sites entering the online dating market. Founded in 2009, gaydating.com has just started becoming a major force to compete with the major gay dating sites that have been around for over a decade. Gaydating.com offers gay and lesbian singles the opportunity to meet for a hang out, date, or plan a trip together. With new members joining daily, this is a site to keep an eye on in the coming years as they release new planned features. Advanced Search Features – Knowing what you are looking for and finding someone easily is the hardest part of online dating. With gaydating.com’s advanced search feature, you can specify what type of relationship you want, what kind of person you’re looking for, and a specific type of location. Chat Rooms – For some reason, a key number of other dating sites don’t offer you to enter chat rooms and chat with more than one person at a time. It’s a good way to meet multiple people at one time with your same thoughts and views on the world. Free Profile equals no contact – Without signing up for a paid membership, users can’t contact other paid users at this time. Hopefully in the future, members will be able to chat with users easily. While gaydating.com will one day be a top gay and lesbian dating site, until they have more members, it will still lag behind the top sites. With good, but not great features, a low gay member population, expect a good site, but not a great one. With affordable gold packages, and a free membership, it is still a good idea to sign up and give it a try without and risk or payment.